Eileen F. Babbitt is Professor of International Conflict Management Practice, Director of the International Negotiation and Conflict Resolution Program and co-director of the Program on Human Rights and Conflict Resolution at the Fletcher School of Law and Diplomacy Tufts University. She is also a Faculty Associate of the Program on Negotiation at the Harvard Law School. Her research and policy interests include identity-based conflicts; coexistence and trust-building in the aftermath of civil war; and the interface between human rights concerns and peacebuilding. 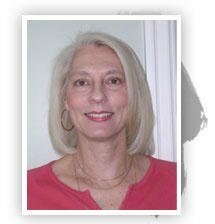 Her 20+ years of practice as a facilitator, mediator, and trainer has included work in the Middle East and the Balkans, and with the United Nations, U.S. government agencies, regional inter-governmental organizations, and international and local NGOs. She is currently working with the UN mission in Iraq on Arab-Kurdish reconciliation.